CW will field its three senior teams against cross-town rivals, Westshore, this Saturday as B.C. Premier action resumes. The Women’s Premier competition will feature six teams this season with the addition of UBC. CW finished strongly last year and have had a good warm-up in Island action in the “first half”. 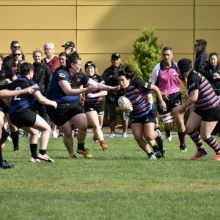 The women report being bolstered by all of the fall returnees plus some returning players from last year, including some women from UVic and a couple of ladies returning from injury. This will provide experience and a core of solid front row players, with good pace in the backs. 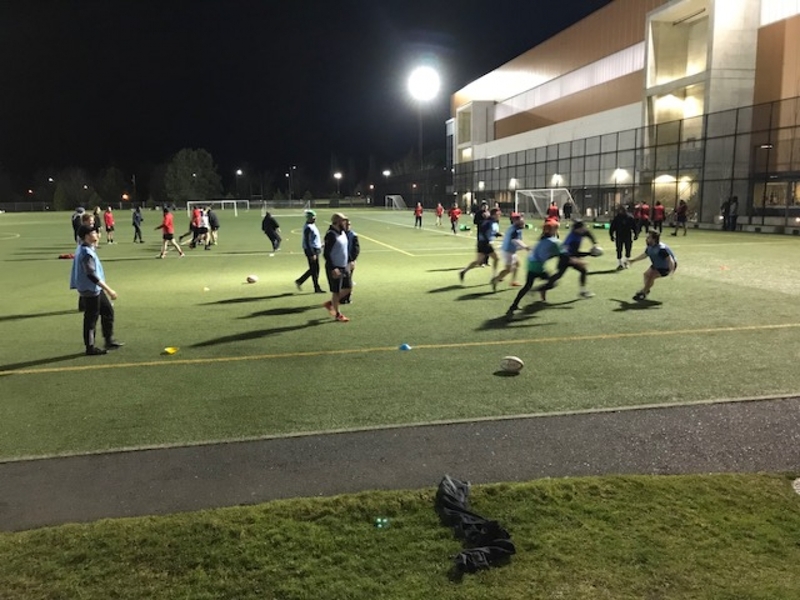 There have been some thirty players consistently at training and this will provide for good competition for spots. Opening against the defending Champs, Westshore, will show the ladies where they are at off the bat. We’ll get you starting line-up later in the week however kick-off time is 11:15 at Windsor. 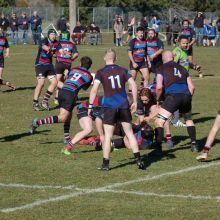 Men’s Reserve action will follow at 12:45 a.m. Westshore finished pre-Christmas play at 2 – 4 whilst The Tricolours were at 3 – 4, scoring a mammoth 261 points vs 81 and a +27 vs -182 points differential. The locals had some good efforts against Ravens, a strong team and a good early season win over Caps yet capitulated meekly to the Norsemen and Meralomas, so in all, results were very unpredictable. There is talent amongst the group and this will be a good opportunity to show that and open up a small space in the standings. 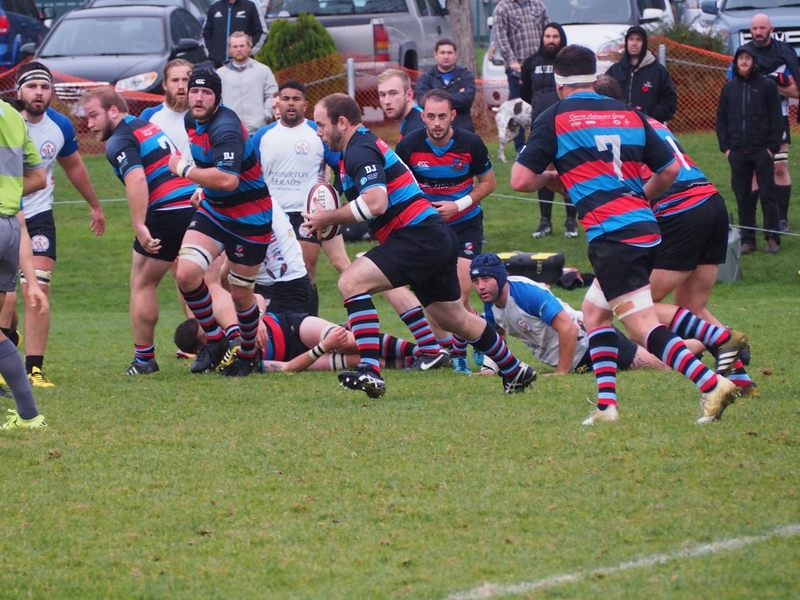 Men’s Premier kicks off at 2:30 p.m., also at Windsor. Westshore will be baying for blood after being nutted ever so closely 37 – 40 on pretty much the last play of the game back in October. This match was part of CW getting out of the gate early in the season and a little of their own luck being created. CW knows full well that Westshore’s danger is always near the surface and any errors could well be the difference. That being said, the boys will be keen to get the bit back in the teeth and get off to a fast start. The writer has heard of “good training sessions” with plenty of numbers but the make-up of Saturday’s starters will probably be much different to the team that played back in October. We’ll bring starting line-ups later in the week. Plan on not missing this one. FOOTNOTE – Canada’s Men’s Maple Leafs (Development Sevens group), finished in the cellar at the Chile Punta Sevens on the weekend. An enterprising start saw the boys knock off the Argies but it was all downhill after that. Coach of the senior group, Damien McGrath would have been disappointed with this result and it is good news to read of Sean White’s appointment as Coach of the Men’s Next Gen program. We offer a ‘hats off’ to Westshore’s Aaron Frisby for three years of hard work with this program.